Everyone's favourite heartthrob is back, and this time with an ensemble of characters in this fast-paced and action packed crime series. Kang Ha-Ri (Song Seung-Heon) is the titular leader and conman of an investigative unit and group of thieves made up of previous gang member fighter, Do Jin-Woong (Tae Won-Suk), brilliant hacker, Im Byung-Min (Lee Si-Eon), and Cha Ah-Ryung (Krystal) a professional driver and pickpocket. 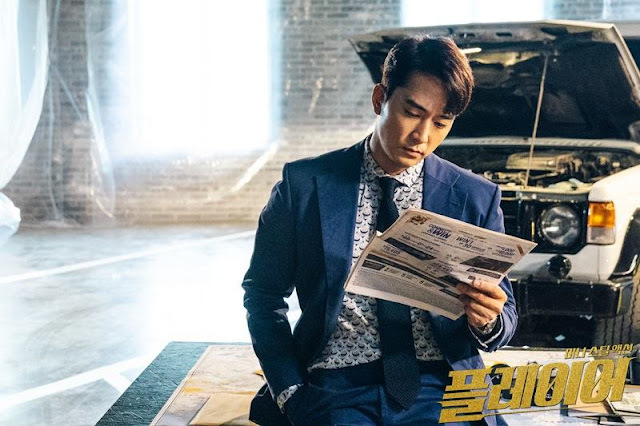 During a heist where they leave their guards down, Prosecutor Jang In-Gyu (Kim Won-Hae) catches them in the act and offers them a proposition they can't refuse, turning them into an investigation unit on behalf of the Public Prosecution Office, targeting the elite and conglomerates. They'll dig out corruption and unfathomable crimes while keeping their eyes on the money or finding value in their talents to help those in need. 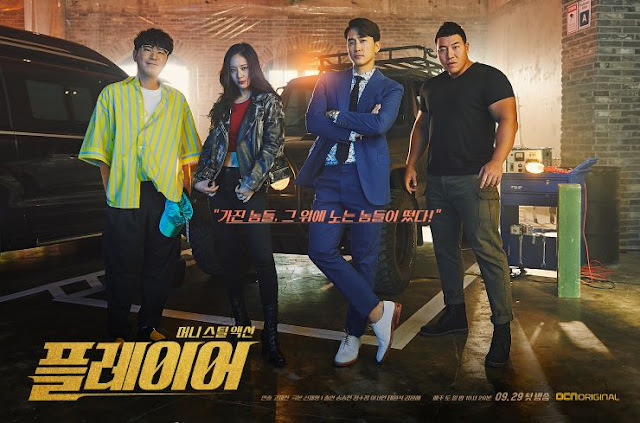 I don't have much to go on to add more to my synopsis since the show is action galore and packs a lot of plot and crime solving in its premiere. Quite a few people are comparing it to Squad 38 or Mad Dog but The Player contains more forward movement in regards to the crime arch, as it doesn't reveal the whole 'assembly' process of the team or their backstories from the get-go. 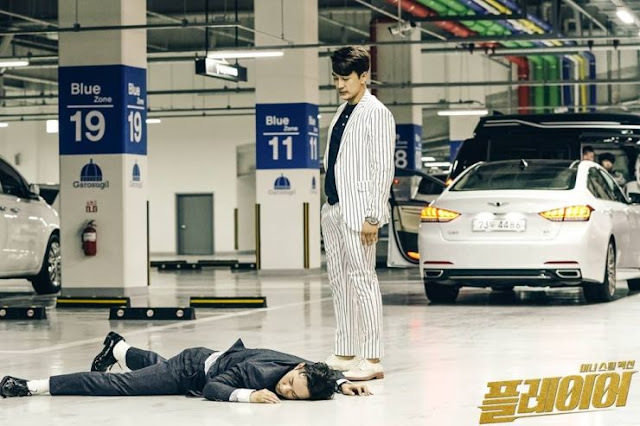 And this really attests to the drama's style, reminiscent of some other OCN productions out there since it keeps melodrama and drama in general at bay and truly centralizes on crime and conman antics. 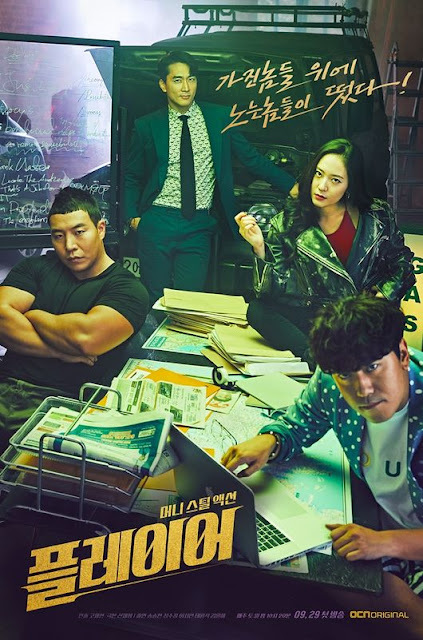 This show was a pleasant surprise and went beyond my expectations since I was more invested in the cast and didn't really hold any hopes for the story itself but the drama's execution is so sleek with excellent pacing that I'm always left on the edge of my seat with the twists and investigative processes. 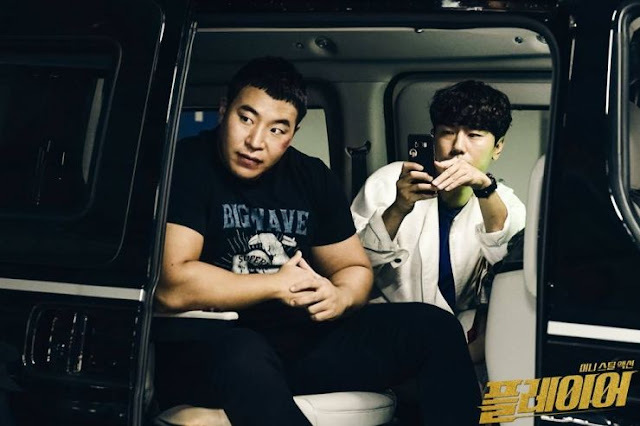 It has a film feel to it and lets you digest every member's talents quite well, all of them getting an equal share of the glory and really defining this as a show with members, although Ha-Ri seems to be shrouded with mystery and will no doubt receive a certain amount of more screen time and an in-depth story reveal later. Ha-Ri is ever so nonchalant, the player persona fitted and brushed down to perfection. It's quite the divergence from Song Seung-Heon's previous drama but he's clearly got a knack for a character like Ha-Ri since a lot of the drama's atmosphere is created by him, the flow of the show carried by Ha-Ri's intentions and hidden motivations. I have to say, my favourite thing about this drama is the significant role Kim Won-Hae portrays. 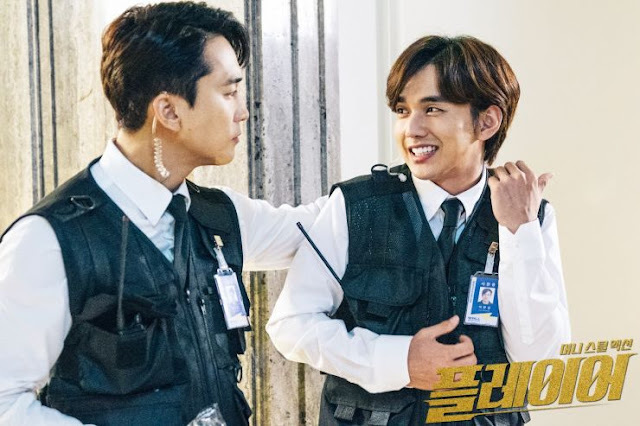 The man has always been a show stealer and seen almost everywhere, doing various dramas as secondary characters but here he becomes the connection this group of thieves have to the law and the conception of justice being served. He plays the charismatic and intelligent Prosecutor with years of experience and I prefer this version of a Prosecutor as well. We've seen plenty of shows where the good guys who are bad (thieves, conmen, etc.,) get chased down by Prosecutors who fail to see the larger picture and what people with these abilities are able to achieve. 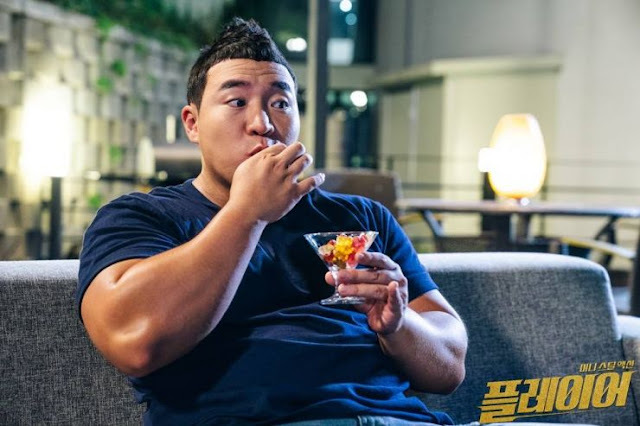 There's not much room for doubt or contemplation or an entire montage dedicated to Prosecutor Jang coming to terms with this team and trusting them. Instead, he reaches out and believes in the evidence they've acquired, knowing fully well that he has bigger fish to fry. And while I'm on the topic of characters, I also appreciate the Writer for including The Fast and the Furious type female who can stand her own ground and keeps the men around her in check. 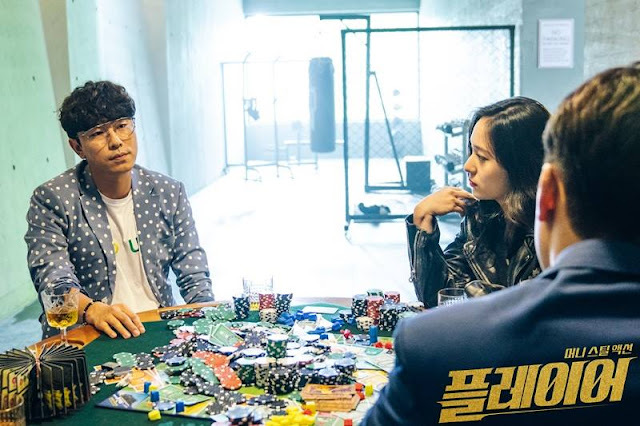 She's the youngest member of the group but she keeps them on edge with her snide remarks and insightfulness. 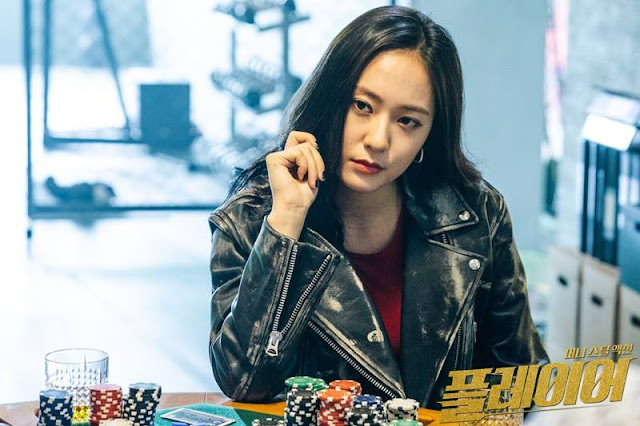 Krystal may not have gotten too many scenes or lines in the premiere but she's already making an impact with Ah-Ryung, since she's definitely a female character I've never encountered before in a K-drama, not even crime or action dramas. 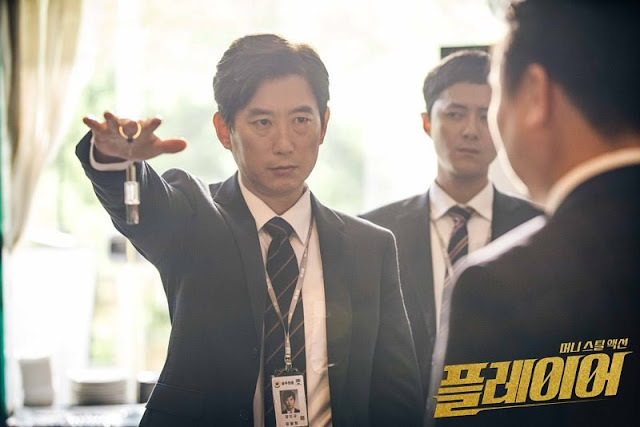 Since it's still too early to dive right into the show and proclaim it as a must (since that worked against me when I made such comments with Lawless Lawyer) I will say, the reception for The Player has been positive and it does claim to be purely concentrated on action and crime since those are its two leading genres. The show hasn't hinted for anything beyond that but there will most likely be character development when it comes to personal morals and mistrust among our leading four characters. For now I say, simply enjoy the premiere since it was solid and enjoyable, because this is one drama that offers the right amount of spice and synergy among it's cast of unlikely heroes. Let's hope it maintains its momentum and appeal!